As we reach what is now essentially the halfway mark of the tournament it seems a good opportunity to reflect on those players who have been a success in this year's BBL. As mentioned in previous posts, with some of the international stars now drifting away from the Big Bash and towards either other franchise competitions or their respective national teams we are also going to see some of the line-ups change quite dramatically. Teams like the Melbourne Stars for example, who after a poor start to the competition had hit a little bit of a purple patch will need to rejig their team as players such as Stoinis, Maxwell and Lamichhane are no longer available. So here's my 11! I think it's got a nice balance to it with big hitters and stroke-makers throughout as well as bowling options that any captain would die for. Let me know what you think and whether you'd have included anyone else. I've written a fair bit about Short and my surprise at him be left out of the Australia ODI team for their upcoming series against India this week. His form in the BBL has been consistent and his 3 half centuries in 6 matches are one of the primary reasons that Hobart find themselves at the top of the table with a 100% record. From what I’ve seen of him this year he seems to be maturing as a player too, mixing brutal hitting with an ability to manipulate the strike. His left-arm chinaman bowling also offers a good alternative option to any captain. Short’s partner in crime at the top of the order for Hobart is former Australian keeper Wade who seems to have reinvented himself into a powerhouse hitter. If anything it’s been Wade’s ultra-aggressive approach that has allowed Short to sit in and take a little more time, ensuring that he is usually there at the close of the innings. As a result, Wade has registered the 2nd highest strike rate in the competition (over 100 balls faced) with only former Hurricanes captain George Bailey ahead of him in those stakes. In fact, Wade is making this captaincy malarkey look surprisingly easy – he’s yet to lose a match! Batting outside the top 4 in T20 cricket is generally a thankless job. You are either likely to find yourself coming in with the side in trouble and needing to rebuild or if the top order have performed you may need to come out swinging from the off. Generally speaking, the failures of the Sixers top order has meant that Jordan Silk had to rebuild before then exploding towards the end of the innings and getting his side to a competitive score. Australia’s T20 side is packed full of players who are better suited to a top 3 role, might they have a look at Silk as a man who can do a job at 5 or 6? One of the finds of the tournament. He bats right-handed and gives it a good whack while with the ball he provides my side with a more than useful left-arm option which is delivered at good pace. He has a strike rate of 170 so far and he hits one in five of his deliveries faced to or over the boundary. He is particularly powerful smashing it over midwicket and it will be interesting to see how he can adapt his game once bowlers and captains get a look at him and begin formulating plans to hide the ball outside off-stump. What a tournament young Tom is having. Brilliant with the ball and adding match-winning runs down the order. There might be a few teams in the IPL that will feel they could have made a millionaire out this Curran as well! I said at the time that as far as white ball cricket is concerned, I think Tom is a better player than Sam. His control of the slower ball and ability to bowl a fast yorker have made him a potent weapon in this tournament. With 11 wickets so far, he is the joint leading seamer in the competition but with a much better economy rate than Kane Richardson and his all-round ability, he was an easy choice for the team! With an average of 11.8 and an economy of 4.91 this guy is once again bossing it in T20 cricket. The majority of batsmen who have come up against him have struggled with fellow countryman Mohamad Nabi and England's Joe Denly the only players to look remotely comfortable. Is it, therefore, a case of the Aussies just having no clue against mystery wrist spin? Certainly, that is helping his cause but his record over the last 2 years suggests he can be successful against anyone. While his main suit is wrist spin he has also played some wonderful and entertaining cameos at the back end of the innings. 8 years ago Stephen O'Keefe was playing for the Australia T20 side. While he's experienced relative success with the Test side in between times, it seemed as though his career was petering out after a largely unsuccessful BBL07. However, it seems like you can teach an old dog new tricks and it is those variations in pace, line and length that has lead to O'Keefe taking a high of 13 wickets in this year's BBL. He is forming an almost unstoppable partnership with the likes of Curran and Abbott while providing a great role model for young off-spinner Mannetti. Tall, left-armed and capable of nipping the ball off the deck at a good pace, Jason Behrendorf has been one of the best BBL bowlers over the last few years and little seems to have changed in the 2018/19 season. He has been particularly successful in the powerplay overs, picking up wickets while also restricting the scoring. In fact, Behrendorff's economy rate is the best of any quick bowler in the competition. If he can continue to perform in Australian domestic cricket, it wouldn't surprise me if he secured a spot on the Ashes tour later this summer where the English conditions could suit his game. I've picked this guy because it's always nice to have a bowler in your side with some real raw pace. So far this season Meredith has outbowled his Hobart Hurricanes teammate and much-vaunted fellow quick, Jofra Archer. He regularly touches speeds of 150kph but in doing so is still able to maintain excellent control of line and length. 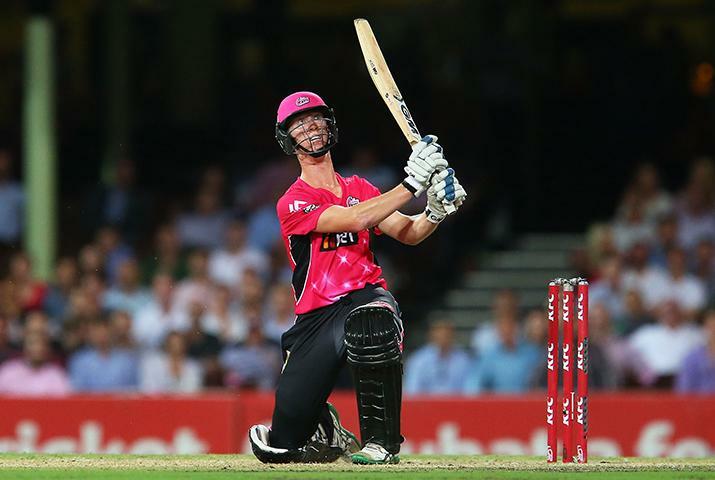 There is no doubting that he will have been talked about by the Australian selectors and I'm sure if he can continue his form into the 2nd part of the BBL and help the Hurricanes take the title then other franchises across the world will also be happy to help the 22-year-olds cricketing development - he's a very exciting prospect! My total of 904 points was good enough to put me in the top 3% worldwide for the round and the consistency I've shown in recent weeks now sees me up into the top 5% for the total score. Elsewhere @birjudanak scored some big points to earn his 3rd win of the season and keep himself in touch with the leading pack. @hassan just pipped @lama10 in a very tight head-to-head to record his 2nd win with poor lama still looking for his first points of the season. Not too many changes from last round. 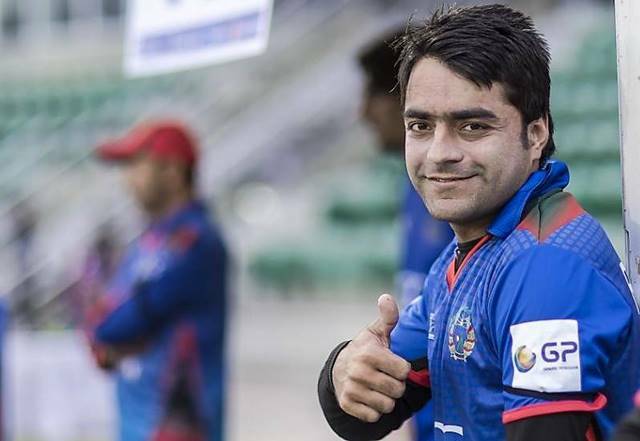 The bowlers all remain the same but Rashid Khan takes the captaincy arm-band on account of the Strikers playing twice this week - I would imagine anyone with Rashid in their team will be thinking likewise! On that same premise, I also bring Jono Wells off the bench in place of Max Bryant and I've transferred in Jake Weatherald for Ben McDermott. The only other transfer is for me to replace Jos Buttler who has now returned to the England set-up with the exciting young wicket-keeper batsmen, Sam Harper.